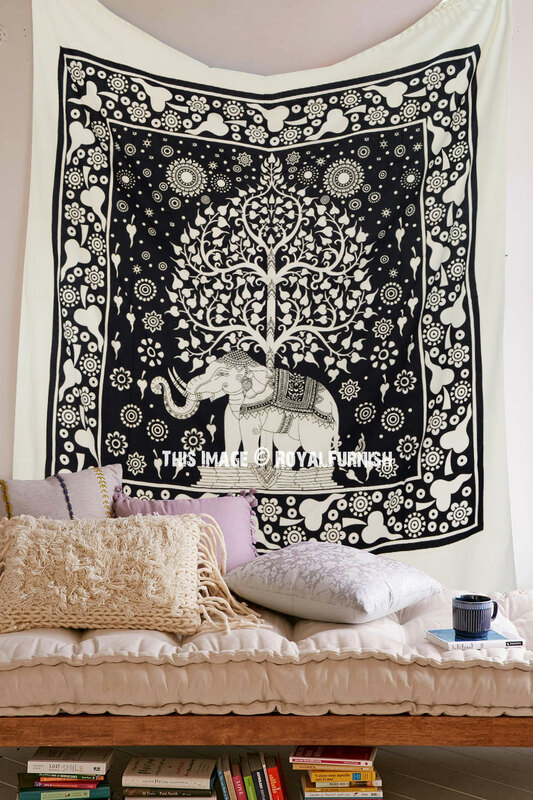 Beautiful Indian elephant designed hippie decorating tapestry wall hanging gives a royal touch to your home interior. 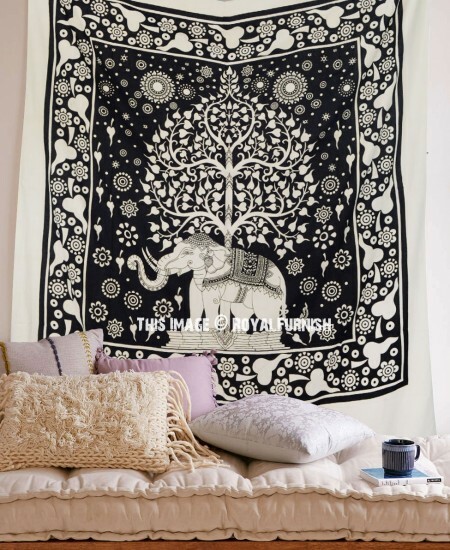 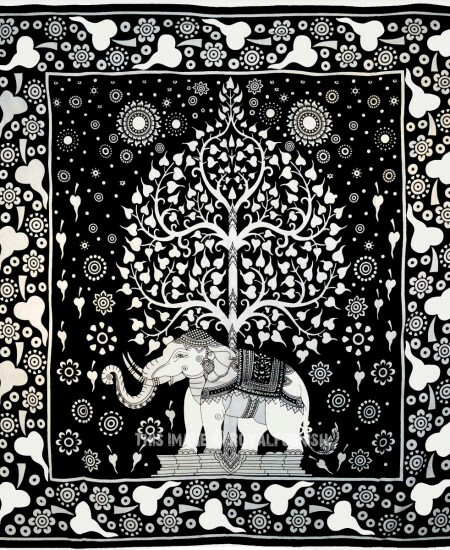 The tapestry features a tree and elephant design with blue and black colors. 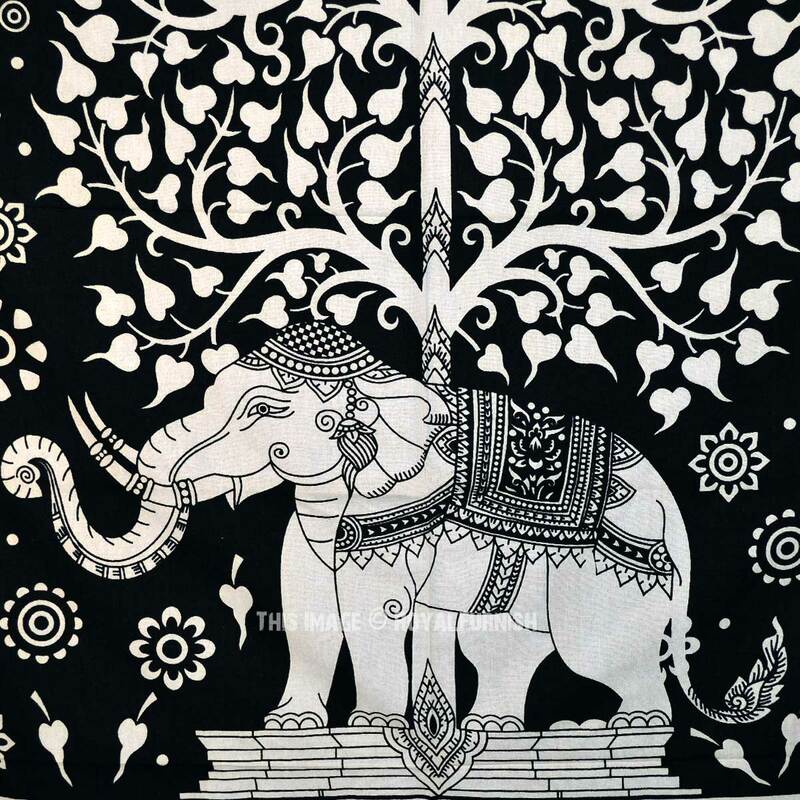 Made in India with 100% cotton & vegetable colors. 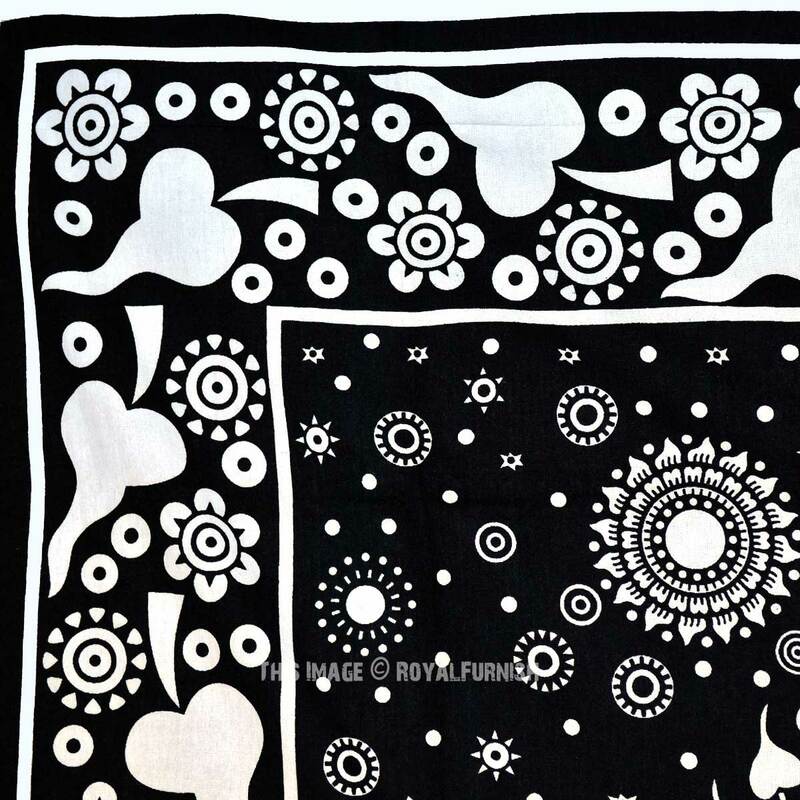 It is multipurpose item which can be used as tapestry wall hanging, bed cover, table cloth etc. 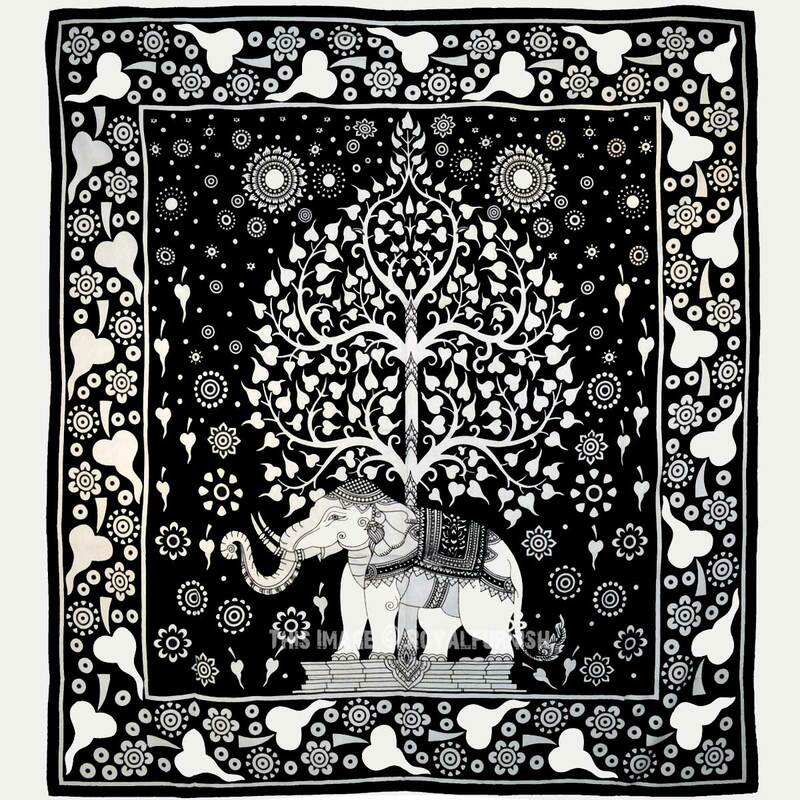 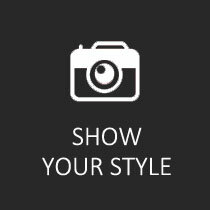 Note: It may come slight variation into size due to nature of handicraft item. 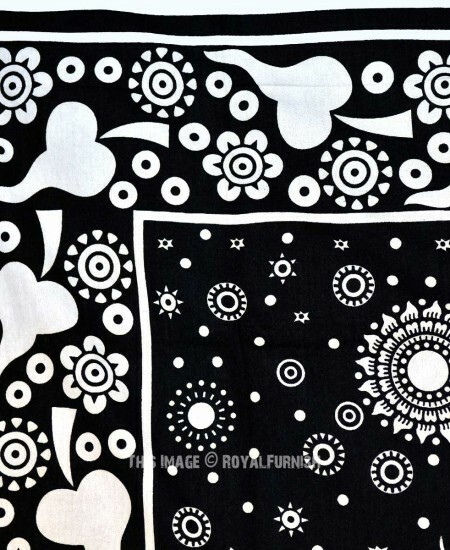 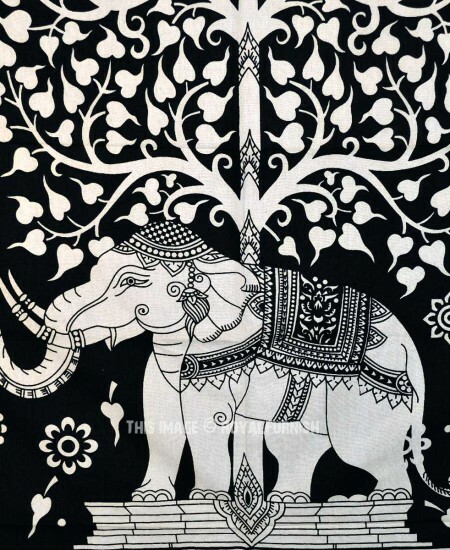 White and Black Elephant Tree Border Wall Tapestry, Fringed Bedding added to the cart!